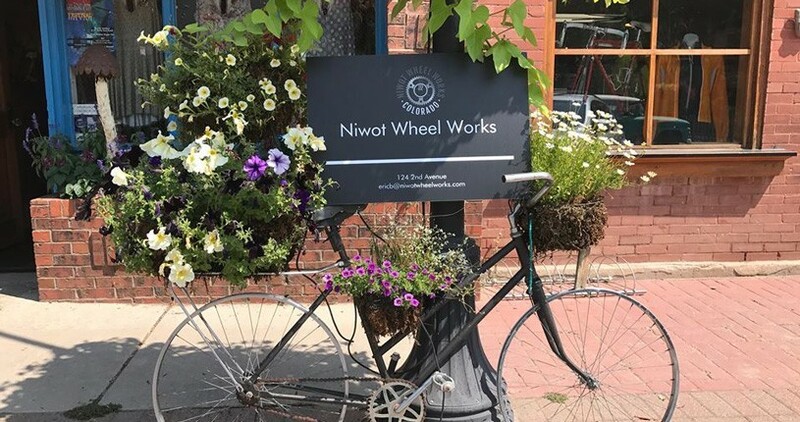 Like faith needs doubt, like a pedal needs a foot, Niwot needs a bike shop. Makes sense to us; we hope it makes sense to you. But what kind of a bike shop does Niwot need? How about a bike shop that's run by people from Niwot, people who live in Niwot and know Niwot. The shop should be clean and professional - the place you go to get reliable and honest answers. The shop should be inviting and welcoming to every form of bike rider - including future bike riders. The shop should be a relaxing place to hang out while your bike is undergoing expert service or you just don't know where else to hang out. The shop should be a place to gather for rides, finish rides and keep up on everything bike related in Boulder County. Maybe you should even be able to play darts or get a macchiato or an IPA with your tune up too. Oh, and the shop should offer pick up and delivery service for bike repair - you know, like the dry cleaners. Come check us out - see if we got it right.